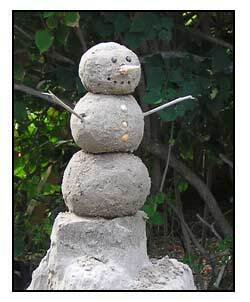 Build "Toasty the Snowman" for a family photo to grace your holiday greetings. 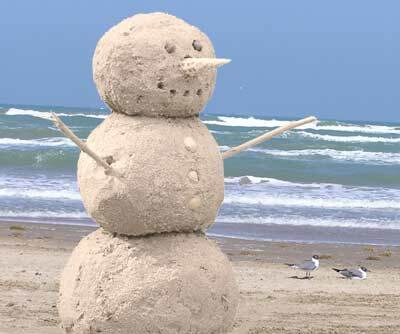 Building a snowman out of sand is both easier and harder than you might think; what it comes down to is scale. Size does matter! 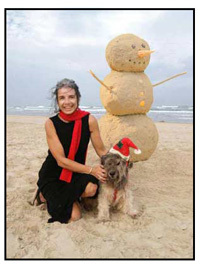 If you have never made Texas Snowballs before you will find my book Sandcastles Made Simple to be of invaluable assistance.... but you can get the readers digest version of making them here. Advantages: Requires hardly any equipment, very little sand, skill, experience or artistic talent. Heck -- you don't even have to be on a beach. Disadvantages: If you are not a Photoshop wizard -- or on good terms with one -- the people are going to make your efforts look puny indeed. Decorate in traditional (or not!) snowman fashion - i.e. shells for eyes and/or buttons; twigs for arms; seaweed for hair, etc. 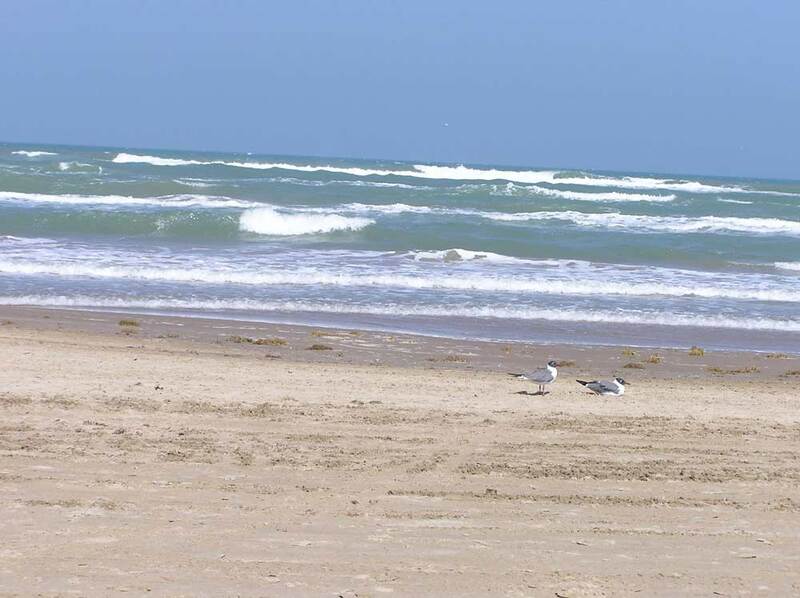 Use photoshop (or similar application) to enlarge the sandman and merge the photos. Make that sucker as big as you like! Snowmen are very rarely if ever created from perfectly round snowballs. Your miniature sandman will read better if your balls are sloppy and lopsided.